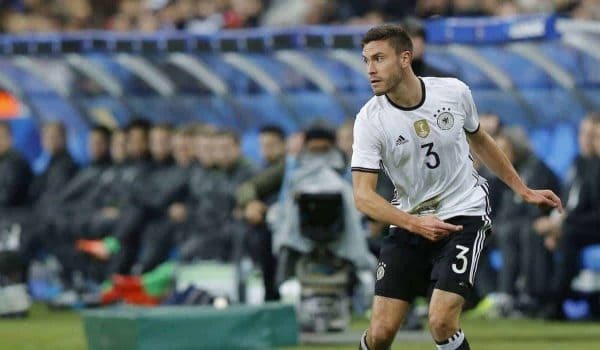 Rumoured Liverpool target Jonas Hector played the full 90 minutes in Germany’s 3-2 loss to England on Saturday night, providing a showcase of his ability. Liverpool have been rumoured to be looking at a number of left-backs already ahead of a summer where they are expected to bring in either a challenger or a replacement for Alberto Moreno. One of the most frequently linked names over the past couple of months is Hector, Germany’s first choice on that side of the defence. 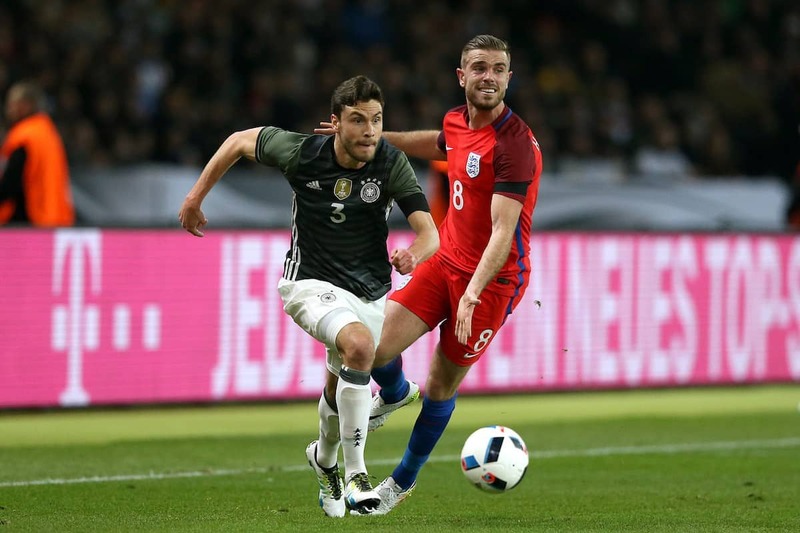 Hector was in action against England over the international break, as Joachim Low’s side fell to a 3-2 defeat Berlin’s Olympic Stadium, thanks to goals from Harry Kane, Jamie Vardy and Eric Dier. But how did the 25-year-old get on, and what did he show he could offer to Liverpool? Hector plays in the Bundesliga for FC Koln, as a first-choice left-back who has on occasion slotted into central midfield for the club. He has featured in 26 of the team’s 27 league games this term so far, after playing 33 times in each of the previous two seasons, highlighting his endurance and importance to the team. His side sit ninth in the 18-team table, but by points tally they are far closer to the relegation scrap than the fight for a European spot. Hector has racked up 2,500 minutes of game time at club level so far this season, comparable on Liverpool’s squad to Mamadou Sakho or Roberto Firmino. While both the Reds’ players have had spells sidelined, Hector has been available for almost every game for his team—but they have no Europe nor second cup competition to play in. He made his international debut in 2014 and over the last 12 months has established himself as the first choice for his position, playing each of the last seven Euro 2016 qualifiers and totalling 11 caps to date. While one-off games are never enough to base any complete decision on, seeing Hector in action against players he’d come up against if he does move to the Premier League could obviously be enlightening. Playing on the left of Germany’s defence, his direct rivals were potential future team-mates: Adam Lallana on the flank of England’s midfield, Nathaniel Clyne surging from deep and Jordan Henderson, who attacked that channel from the centre. From the first few minutes it was clear what England’s intention was: press high, challenge aggressively in numbers and turn Germany’s defensive players around. It worked on Hector twice in the opening instances of the game, as he once lost possession and once lost his man to allow players to run in behind. He wasn’t alone in that regard in Low’s back four, but it was an early test of his capacity to react and recover positionally. In one-on-one instances, Hector was by and large a confident defender, standing up in challenges strongly and showing more than once his aggressive nature. There were occasions he was easily dribbled past, though, allowing crosses to come in from England’s right. It’s also notable that all four starting full-backs saw the ball hit the back of the net from a passage of play down their side of the penalty box, so although Hector couldn’t prevent Clyne’s low ball in for Vardy’s equaliser, he certainly wasn’t alone in that regard over the 90 minutes. When under pressure both Hector and Emre Can, playing right-back for Germany, were happy to tuck in somewhat on the sides to make the defence reasonably compact, but they were both still spread across the entirety of the penalty box—a little wider than Liverpool’s defence has been of late. Aerially he wasn’t overly tested, but the speed of build-up play certainly tested his ability to time challenges and interceptions on the deck. Hector didn’t always come up on top in this regard, and the same can be said for Germany’s holding midfielders and centre-backs. Going forward, Hector was an intriguing mix of aggressive and reserved. Clearly he was comfortable breaking forward into space, often ahead of the ball to overlap or receive a pass to feet rather than waiting for the pass and then driving into space. There was little hesitation at continuing runs into the final third, but certainly not in a Moreno/Jordi Alba manner—in other words, not to hit the byline or sprint full throttle in behind the defence. Instead, Hector’s role was in continuing the build-up, recycling play infield more often than not or else picking an intelligent pass into the box. His crossing was an extremely noticeable point: not because it was hugely accurate, but because it was methodical and caught out the retreating defence rather than blindly swirling a ball in for Mario Gomez et al to attack. Hector put early crosses in at every opportunity when he got ahead of the England back four, either low toward the six-yard box or else cut back as a pass rather than outright cross, looking for onrushing midfielders from the second line of attack. Three or four times it yielded shooting chances for the likes of Toni Kroos or Marco Reus, though not always with any great end product. It was extremely apparent that Hector was most interested in retaining possession for his team, not outright forcing the matter to create scoring opportunities, but if retaining the ball could be done with a release into the box, the left-back didn’t hesitate to do so. Finally, his position in the final third was worth noting. Most often it would be the case that Hector, like many offensive full-backs, hugged the touchline and provided more width to the attack while the attacker ahead of him, Reus on this occasion, was allowed to break infield. However, there were two occasions where the early ball didn’t find Hector out wide and, rather than remain static on the fringes, he continued his movement to take up a position in the box, darting between full-back and centre-back. On neither occasion did the ball reach him, but the intent was there on his part to offer an alternative outlet. 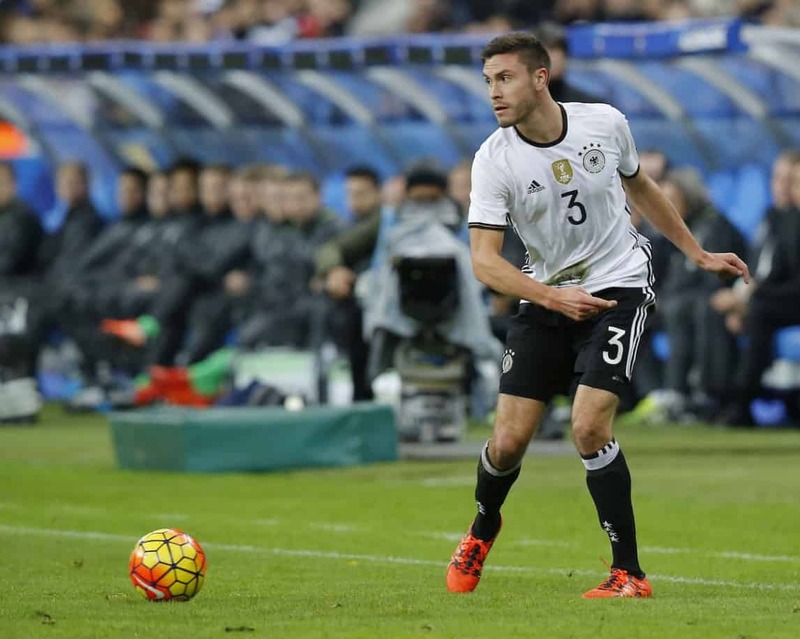 That Liverpool need another left-back this summer is beyond question. Moreno has done extremely well at times, and has frustrated and annoyed Jurgen Klopp and the fans at others. With Brad Smith a game runner but nowhere near the established quality required, and Jose Enrique finally set to depart, depth as much as quality is an issue in the position for the summer. Looking at his performance on international duty, Hector looks to provide a reliable base at the back and an outlet going forward. If he were being graded on past Liverpool full-backs for this particular display, he’d be awarded a “Steve Finnan” grade rather than a peak-form “John Arne Riise”—pretty good at most key traits, without being absolutely stand-out anywhere. Compared to how Liverpool have played in the past two or three months, there’s a question over Hector’s agility and in being aggressive with wide attackers. Positionally, any defender transferring to a new team will be asked to do things slightly differently, so the fact he operated wider out of possession than Moreno and Clyne do under Klopp isn’t too much of an issue, but it’s clear Hector would contribute to Liverpool’s offensive play based on fast-moving passes, one-touch exchanges and rotation of positions. There’s little doubting his consistency and general level of ability given his status in the Germany team, but fans shouldn’t be expecting him to rock up at Anfield as an elite, world-class, utterly complete left-back. There aren’t many of those around at present and Hector isn’t among them at this point—which isn’t to say he doesn’t have plenty to offer Liverpool next season.